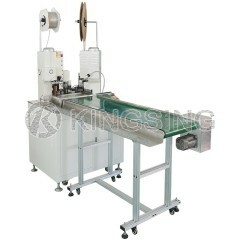 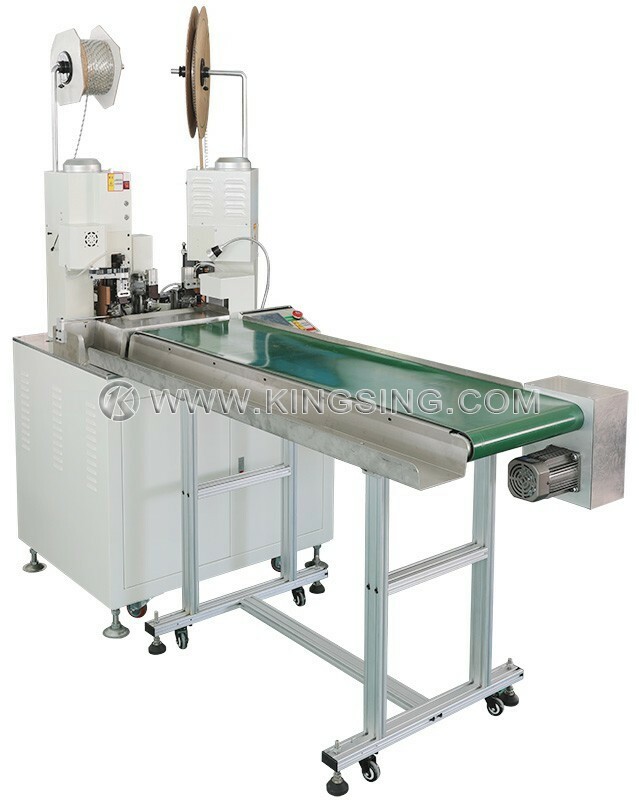 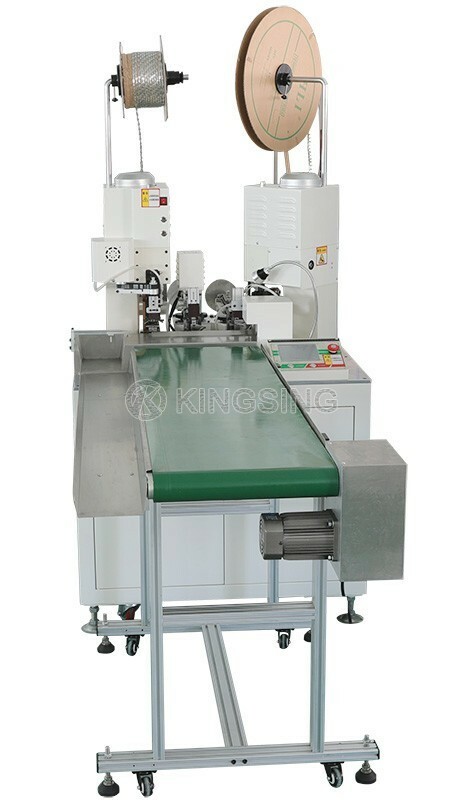 KS-T308 is designed for crimping 2 different wires into one terminal, the two wires are brought together in the double feeding unit, double crimps can be produced either side by side or one above another, with this unique function, KS-T308 is extremely helpful for those who process the wires by handor semi-automatic machines. 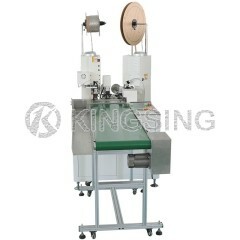 Side-feeding crimp applicator and straight-feeding crimp applicator are both available for this machine. 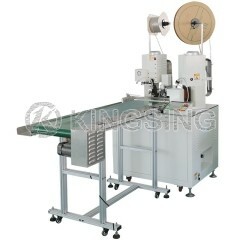 If you have other brand crim applicators, we can also modify the machine to fit your applicators. 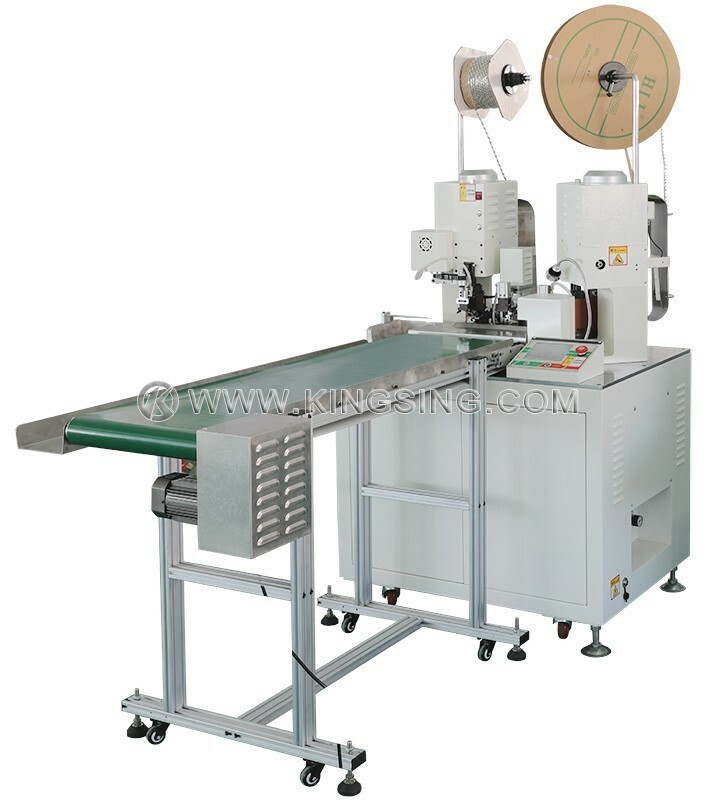 Available Wire Gauge: 0.05 ~ 1.3mm2 (AWG16 ~ AWG30) title=""